Charnock Hall, a Grade II listed building, has been called many names through the years including Blacklache Hall, The Old Hall and Leyland Hall. Its most famous occupants were the Charnocks from Cuerden during the 17th century. The estate eventually passed to Robert Charnock, a Roman Catholic priest, who rebuilt the Hall in 1660. Before he died in 1670, he declared that he wanted the house and estate to be left in trust for the benefit of the priests and secular clergy. It being his wish that the Hall should one day become the residence of a Roman Catholic Bishop of Lancashire. After a trial at the Lancaster Assizes in 1686, it was declared that the property being so left was illegal. 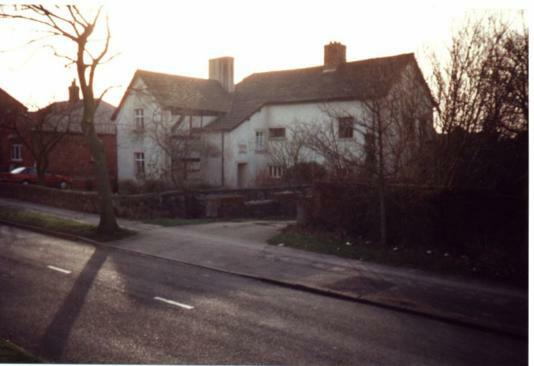 In 1688, the Exchequer declared the property forfeited to the King and following a petition of the parishioners, the house and lands were granted to the Vicars of Leyland. It then became a farmhouse, the hall eventually being converted to two individual properties. Current owners and past residents alike have witnessed priestly figures and nun-like apparitions. Many have experienced strange activity including electrical appliances turning themselves on, as well as ghostly footsteps on the stairs.